Sulphur (S) is an essential element in forming proteins, enzymes, vitamins, and chlorophyll in plants. It is crucial in nodule development and efficient nitrogen fixation in legumes. Protein synthesis requires large amounts of sulphur, especially in the formation of oils within the seed, and is a sulphur is a constituent of several amino acids and vitamins found in both plants and animals. Thus, sulphur is an important factor in determining the nutritional quality of foods. 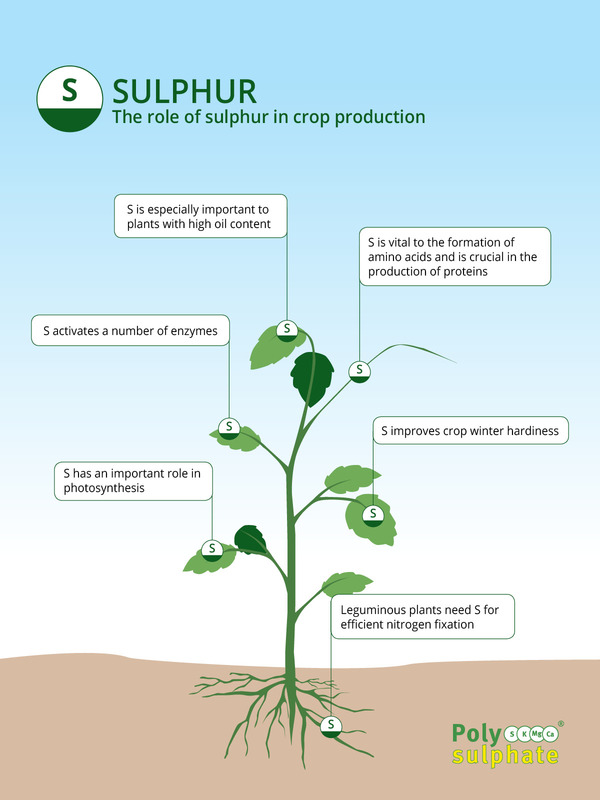 Sulphur is also important in photosynthesis and contributes to crop winter hardiness. 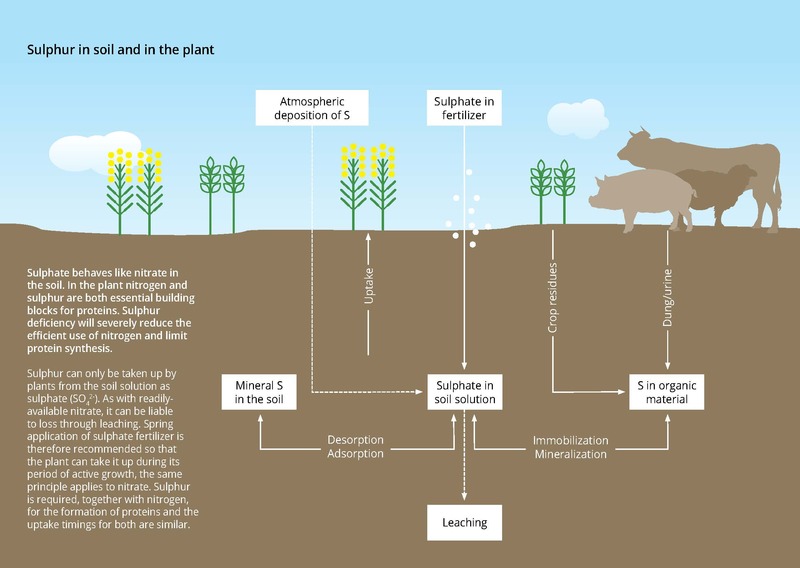 An adequate supply of sulphur is very important, not only for crops with high sulfur requirements - such as legumes (alfalfa, clover, soybean etc.) and Cruciferae (canola, rapeseed) - but also for crops with high nitrogen requirement (corn, cotton), which without sulphur cannot optimize their utilization of nitrogen. 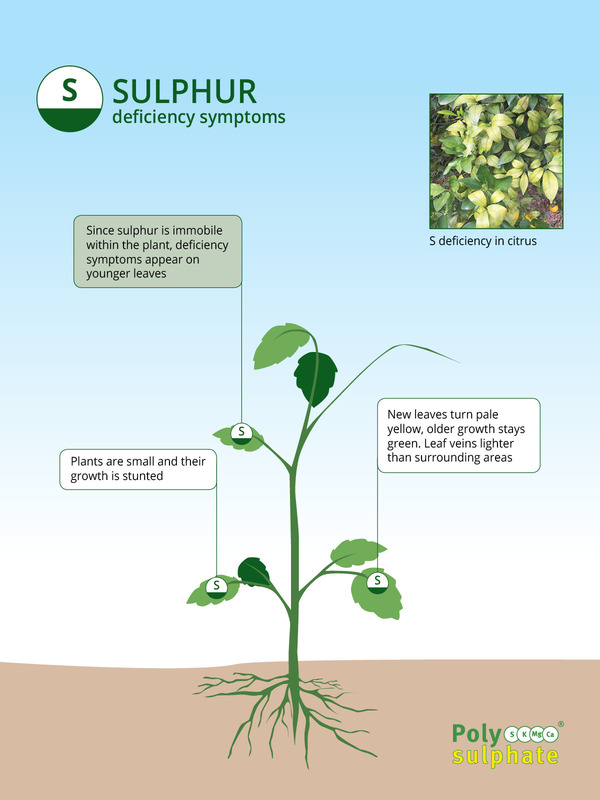 Plants deficient in sulphur have leaves that are pale green color, beginning first on younger leaves. Eventually, the whole plant can have a light yellow-green appearance.